Many of the diseases that plague Americans are preventable, but it wasn’t that long ago when everyday folks weren’t armed with this knowledge, and families had nowhere to turn but the doctor’s office after disease had already taken hold. We’d get prescribed meds, go home, and then go back when they did or didn’t work. Either way, the care provider was reimbursed for each episode with us. But the economic paradigm in healthcare is shifting. More visits to the doctor’s office doesn’t necessarily equal more revenue, which is causing healthcare systems to rethink their entire approach to how they practice medicine and take digital transformation seriously. Thanks to the Affordable Care Act, when patients are treated for a condition in a hospital or acute care setting, they leave with a warranty. If the patient has to be readmitted for the same condition within 30 days (or longer depending on the condition), the provider bears the cost. Yet, healthcare has been slow to redesign its processes to align with their new economic reality. Because healthcare providers are now held accountable for our overall health, they are also now being paid via capitated, or bundled, payments. Accountable Care Organizations are no longer getting paid per visit, but per patient in fixed amounts. To remain economically viable, they must revamp their daily operations to align with how they’re now getting paid. This — the need for clinical efficiency in order to survive financially — is driving the hand of digital health, to keep patients away from expensive care settings, and help physicians see more patients daily — keeping their medical practices economically viable. For these reasons, the role of digital health technologies — like telehealth — is changing. The conversation is no longer only about delivering care remotely to hard-to-reach patients in rural areas or non-ambulatory patients, but about using telehealth technologies to create clinical efficiency across the continuum of care for all patient populations. Telehealth is rapidly becoming a standard of care — for everyone — in all clinical settings, especially our homes. 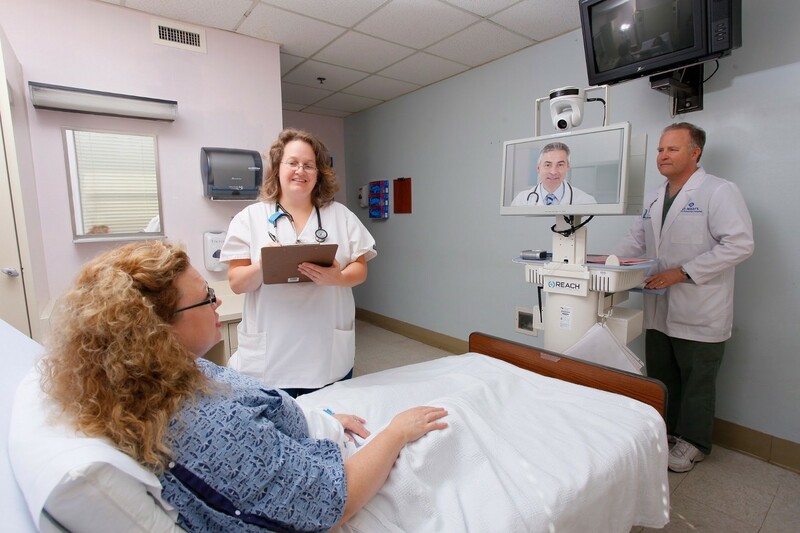 At Vidyo, we work with healthcare systems everyday on telehealth strategy and implementation. Innovative care providers share our vision of pervasive video communication for improved clinical efficiency and are looking to implement everything from smart glass-equipped surgeons for telementoring by foremost experts during new procedures; centralized ICU monitoring centers with video-enablement at the ICU bedside; remote patient monitoring for chronic disease management and video visits from the home for greater patient convenience and engagement. The future of care for Baby Boomers through the Millennial generation will look quite different, as doctor’s offices and hospitals become increasingly rare physical destinations. It’s been almost five years since the Affordable Care Act was passed, but that’s not exactly a very long time in an industry with as much red tape, bureaucracy and as many regulations to climb over as healthcare. We may perceive that consumers will primarily drive the demand for digital health, and a new type of experience, but it’s really practitioners who need the cost savings through clinical efficiency for their practices to continue to thrive. Financially, the burden is now on the care provider to find ways to deliver care more efficiently. Digital health tools, topped with layers of engagement, will be called upon to instill economic efficiency across the continuum of care for patient journeys with seamless transitions, from in-home to ambulatory settings like clinics and emergency departments, ambulatory to acute settings such as regional hospitals, to post-acute settings like skilled nursing facilities, back home and even workplaces. Efficiency means that a clinical setting will not prevent or impede the bringing of the right resources to the right patient at the right time, without wasting time in transition between patients. Fascinating innovations in health tech have been brought to market over the last several years, but the medical field as a whole is only just getting started in terms of using digital health to save a ton of time, money and resources in a variety of common sense ways.